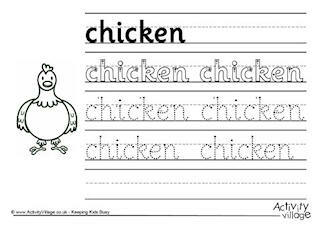 Some of our farm animal acrostic poem printables have only 2 or 3 letters making them a good introduction to acrostics for young children. For more of a challenge try rooster or chicken. Each animal has four variations of pritables to choose, lined or blank, with graphic or without. I don't really know how you can write an acrostic poem about an OX - but we've included it here as it makes up one of the 12 animals of the Chinese Zodiac. The printables do make useful drawing or writing frames, too - perhaps a better use for this one! This acrostic poem might be a good place to start with younger children, who won't be too taxed to come up with a three-line poem. Use the printable pages for writing (or drawing) frames too.